According to the latest leak, Epic Games could bring the crossbow back to Fortnite Battle Royale. "Fortnite Battle Royale" is getting its second update in season five as Epic Games will release patch 5.1 on July 24 at 8:00 AM EDT. According to revealed information, this will be a relatively big update and it will add a new weapon to the popular video game. 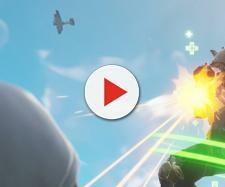 The new weapon, which is a legendary submachine gun, will be just one of a few new weapons the game developer will release this season. Even though the next update has not yet been released, some data miners have already found ways to download it, and they have revealed some interesting information regarding the future of the game. Aside from new skins and limited-time game modes, data miners have found some details regarding a crossbow. It appears that the game developer will bring this weapon back, and according to the leaked details, it will be much better than before. The crossbow was introduced to "Fortnite Battle Royale" in early February with patch 2.4.2. The original crossbow came in two variants, rare and epic. This was the first weapon that consumed no ammo and it was amazing for players who preferred a stealthy playstyle. 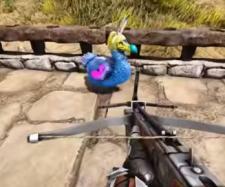 Even though the epic variant of the crossbow did 79 damage, the weapon wasn't used by many players, which is why Epic Games decided to shelf it. The original crossbow was removed with patch 4.0, but it appears that the game developer will bring it back. 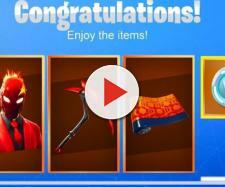 According to FNBRLeaks' Twitter page, the developer added game files for a new weapon called the Explosive Crossbow. "Shoots an arrow with an explosive tip. Your enemies' worst nightmare!" is the in-game description of this item. According to the data miner, the new crossbow won't have unlimited ammo, and just like other explosive weapons, it will use rockets. Considering that the weapon will still shoot arrows, it will probably do no damage to players' structures, just like the original crossbow. Patch 5.1 doesn't contain any new details about the gifting feature. While players are expecting this feature to come out soon, it seems that Epic Games will take more time to make sure that it works properly. The in-game map will receive a few smaller changes with this patch. Accoding to the leaked info, Risky Reels will finally be repaired. The game developer did a great job with map updates in season four, so it wouldn't be a surprise if "Fortnite Battle Royale" players got weekly or bi-weekly map updates in season five as well.